Tropical treats will flood the streets of Marylebone on Thursday 14 July, with the return of The Portman Summer Street Party for its sixth year. 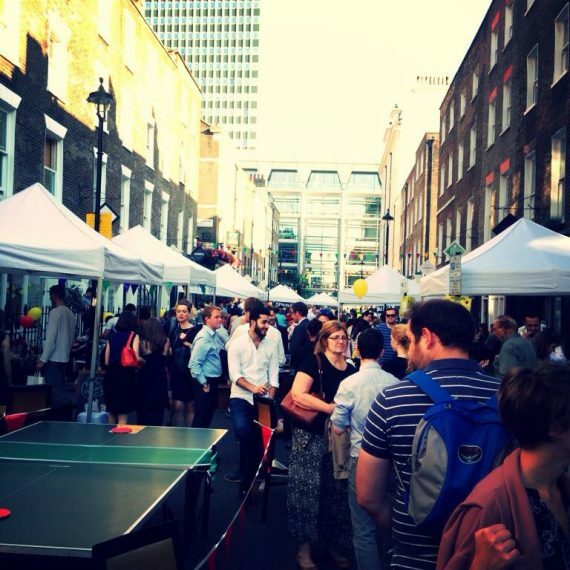 From 5pm until 10pm, Seymour Place and New Quebec Street will be brimming with tropical music and entertainment, as well as food, drinks and special offers from some of Marylebone’s favourite shops and restaurants. Visitors can enjoy tropical cocktails at The Portman, Bernardi’s, The Grazing Goat and The Zetter Townhouse Marylebone, or for those after something even fruitier, a tropical berry smoothie from The Mae Deli – which visitors can blend using the Deli’s bicycle powered blender! For food, visitors will be spoilt for choice. Choose from a selection of savoury delights from the likes of Donostia and Lurra, free pizza slices from SANDY’s, Caribbean ceviche at La Petite Poissonnerie and delicious snacks at GAIL’s Bakery. Boutiques on New Quebec Street and Seymour Place will be open for late night shopping. Visitors can have their hair adorned with beautiful flowers at Beauty Rose Hair & Beauty Professionals, or enjoy some tropical canapés at Eliská, while browsing their selection of unique homeware. Fashionistas can pick up a new designer outfit at pre-loved fashion boutique BuyMyWardrobe, or pay a visit to Taliare to admire their safari suit display. Those wishing to commemorate the day can pop into Paolita Swimwear Boutique’s tropical photo booth, while enjoying some of their Hawaiian lemonade. Visitors will be able to dance the evening away to tropical music, and a variety of family entertainment, including a Children’s Tea Party hosted by GAIL’s Bakery, tropical face art, and fun from master of bubbles Captain Calamity will ensure a great evening for all ages. Creative types can make their mark on one of the doodle walls, while those with a competitive streak can try their hand at some limbo. Youngsters can create floral headbands, tropical flower necklaces and tropical fish glasses at one of Homemade London’s creative workshops, as a souvenir. 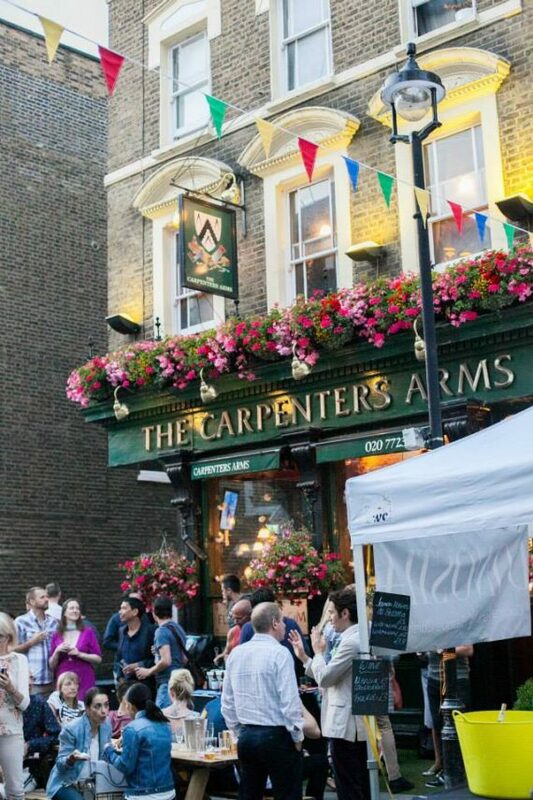 The Portman Summer Street Party is free to all and will be supporting The West London Day Centre, a charity dedicated to helping homeless people off the streets and into accommodation, and there will be donation opportunities available at the event. Free samples are served on a first come first served basis, so guests are encouraged to arrive early to avoid disappointment. 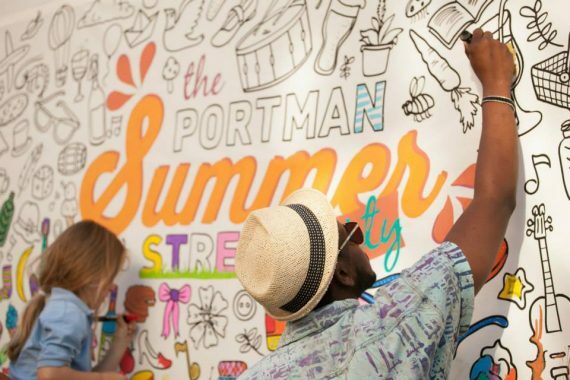 Make your mark on one of the doodle walls at the Portman Summer Street Party.